The Neosho School Board approved the designs for the new Goodman Elementary and is expected to open summer of 2019. On the evening of Tuesday, April 4th, 2017, a tornado destroyed a majority of the only school in Goodman, Missouri. After losing homes, businesses, and their Elementary School, the town’s roughly 1,200 residents in McDonald County were ready to rebuild. 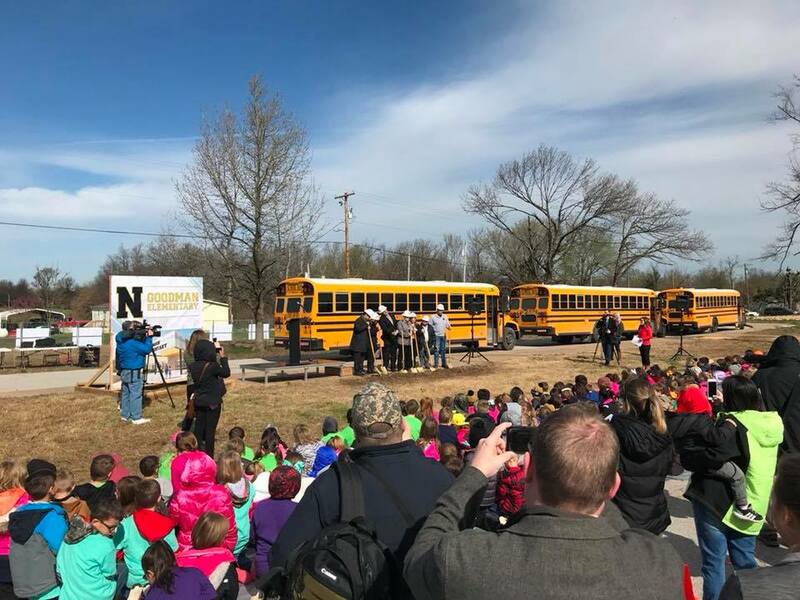 Sapp Design was selected to help Goodman get its elementary school back after providing the district with the Neosho Jr. High School just one year previous. The old elementary school lacked the appropriate amount of classroom space, having to resort to mobile trailers, and sat dangerously close to the railroad tracks to the south. The new school, around 45,000 ft2, will not only have enough general classroom space for all 400 students (existing and future) but will also have areas for collaborative teaching and learning spaces accessible to everyone. The second phase of this project will include a FEMA safe room purposed as a gymnasium. The residents of Goodman have come together to rebuild their community as a collective group of family, friends, and neighbors. Similarly, the design enables students to learn in a school that feels like a community: classrooms are approached through an open and collaborative space, rather than a typical corridor. Visibility within the classrooms is not only to the exterior but also to the shared areas in the core of the building. The ceilings of these core collaborative spaces are taller, a different material, and have altered proportions from those of a typical classroom. All of these changes will remind students that even though they may be in a classroom with just 20 others students, there is a much larger space just outside the door: one shared by all students; one that can function as a special classroom, one that can inspire students to really embrace their community and their fellow students. Sapp Design Architects is a full service architectural firm that focuses on designing projects that are not only great in design, but truly do meet the needs and budget of each client. SDA has a diverse portfolio of public and private projects that are a testimony to the vast knowledge and innovative thinking that our dedicated designers bring to every project.